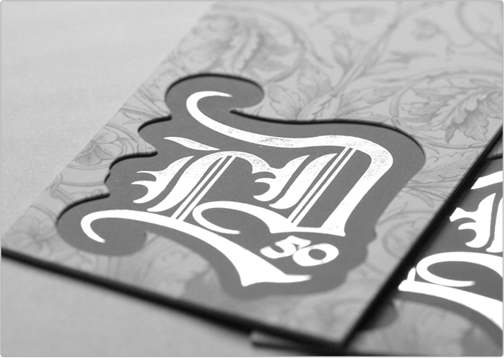 The Lethal Dose business card design is one of our most unique business cards for a fashion/clothing company. This business card is featured on a variety of inspirational business card forums and sites across the internet. 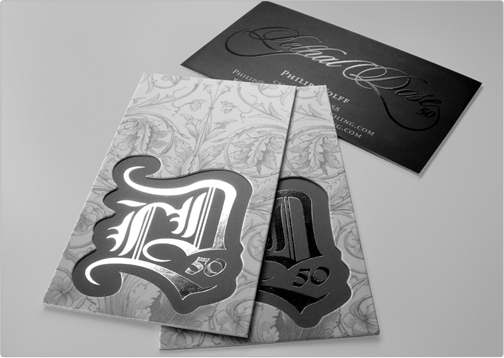 The business card includes two silk matte finish card stocks that are adhesived together, punched out, and complimented with spot gloss highlights and a decorative silver foil stamp. 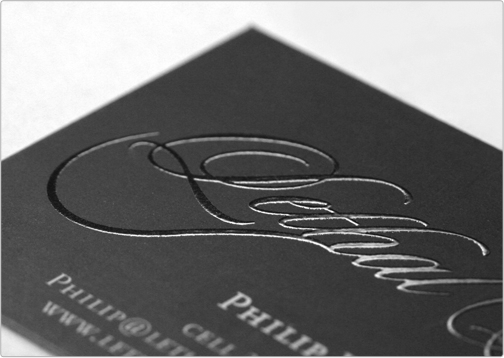 This business card is an example of our Layer Cards.